I realize we are almost at the end of January and 2018 has come and gone, but I would be remiss to not share some of the amazing pieces I found & loved last year. 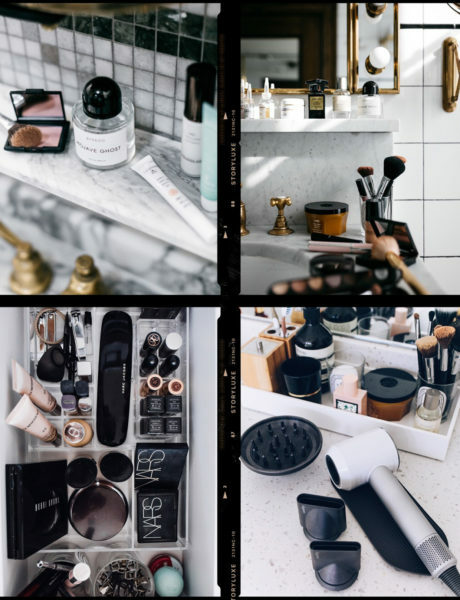 Every single one of these items I'm still loving and continuing to use/wear; that's why they were my favorite purchases! I've broken it down by category sharing my top 3 items from each. I feel like I could have shared SO many more items, because there were that many great purchases in 2018! Let me know if you have any of these products or what some of your favorites have been! Also keep reading to see the top 10 items purchased by YOU! These sneakers might be hands down my favorite purchase of 2018. I got them in February and can say they have definitely gotten their money's worth! I wear them with dresses in the summer, jeans in the winter, leggings for weekends, and anything & everything in between. If you're on the fence about them, read this post. I cannot recommend them enough! 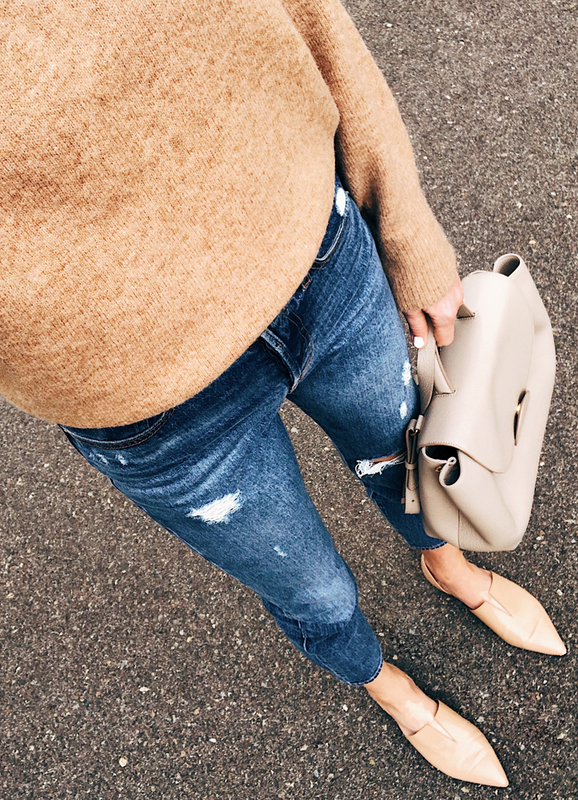 I've said it once and I'll say it again (and again and again), Everlane cashmere sweaters are THE BEST. I started buying them a few years ago, and every year they come out with new styles and colors that I wear all season long. This particular style was my favorite. 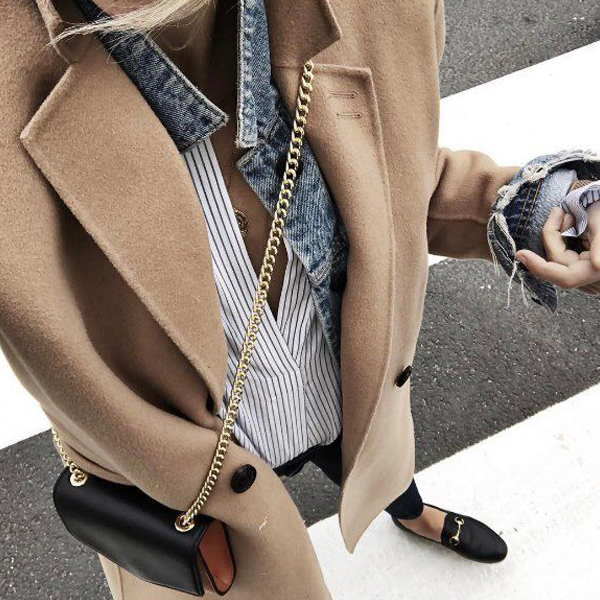 I loved the oatmeal color and the over sized fit. I actually made the turtleneck a mock neck by folding it under. It was the perfect cozy sweater to lounge around in on the weekends, and still looked great dressed up for a night out. FYI I'm wearing an XS. 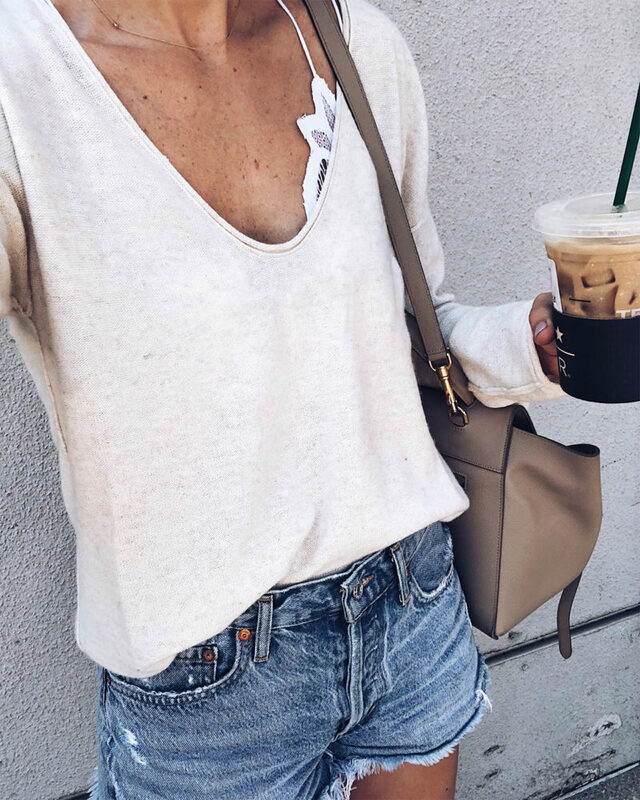 I had seen a bunch of blogger friends wearing these shorts and raving over how amazing they were. I wanted to give them a shot, so once my size was in stock (they always sell out so quick! ), I ordered them. I wore these denim shorts EVERY DAY of summer. They are literally the best fitting denim shorts I've ever owned. So comfortable & so flattering. I'm planning to order a second pair since they are back in stock and you ALWAYS need a back up for your favorite items. FYI they run TTS. This is probably my second favorite purchase from 2018. 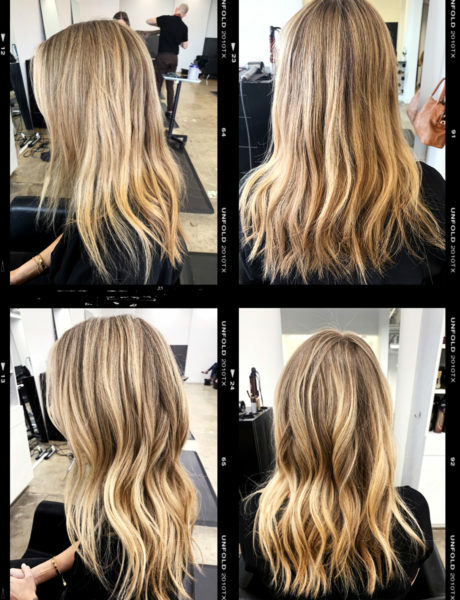 I used to hate drying my hair (and it would take so long!). However, as soon as I purchased the Dyson Hair Dryer, my life was literally changed haha. 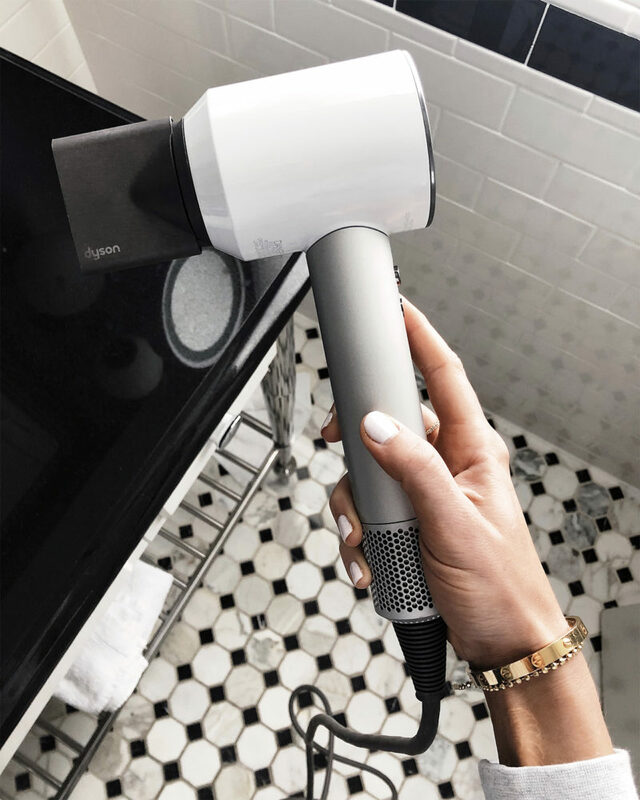 Seriously though, this hair dryer is a game changer. It now takes HALF the time to dry my hair & in a much healthier way! I actually bought mine refurbished from eBay and it has worked exactly like a brand new one. Don't believe me? Read this post! I HIGHLY recommend the Dyson Hair Dryer for everyone! 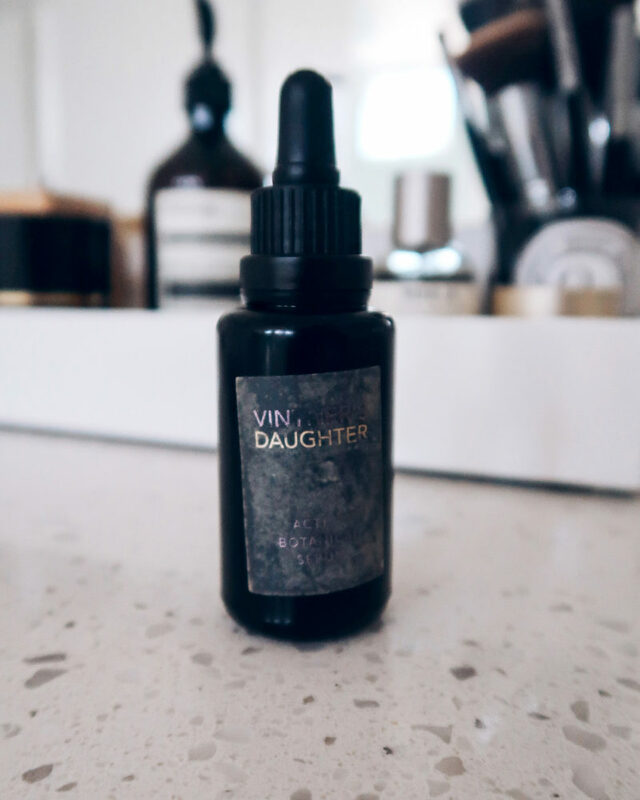 My esthetician recommended Vintner's Daughter to me at the beginning of the year. At the time I wasn't using any type of face oil because my skin is naturally oily, so I didn't think a face oil would be beneficial. Boy was I wrong. This stuff is liquid gold and my face literally craves it. It's an active botanical face oil that restores skin's balance, texture and natural radiance, perfect for age prevention, fighting fine lines & wrinkles. While it is on the pricier side, its definitely worth it. One bottle lasted me almost an entire year! Check out this post for more details. Ok I know this isn't one product, but they go hand in hand. I finally found the best lash duo! My friend Merritt recommended this Givenchy primer to me at the beginning of the year and I'm became hooked! I was trying out a few different mascaras (I even asked you guys for your favorites! ), and it wasn't until the end of 2018, that I finally found the best mascara! 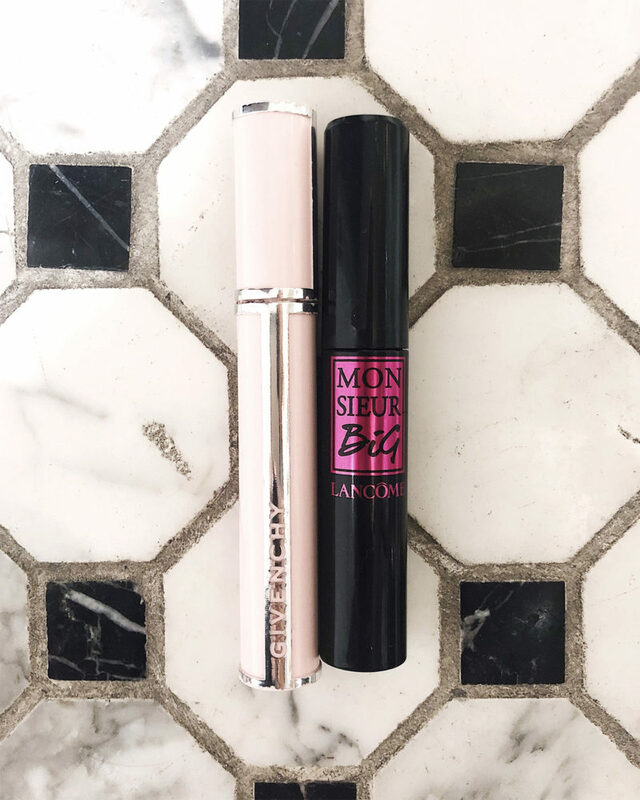 Lancôme's Monsieur Big in black is THE BEST mascara I've ever used, and when combined with the Givenchy primer, it makes my lashes incredibly full! I've had people ask if I have extensions because that's how great this combo is! Definitely give the two a shot and let me know what you think! For the longest time I was using an old water bottle, which wasn't even that big. I saw the Hydro Flask and loved the sleek design plus the wide range of colors. Of course white was my first pick! What's great about this water bottle, is it has a powder coat, which gives you a solid grip so it's easy to hold! It's also incredibly durable, because I have dropped it on concrete and you would never know! It keeps my water cold all day, which is great because I use it not only at the gym, but at home to keep track of my daily water intake. I bought these high waist leggings during the Nordstrom Anniversary Sale because they were on sale for $35 and you can't beat that! After one wear I was hooked! I went back and bought a second pair because they are that good! What I love about them though, is the versatility. While they are great for training days at the gym, I love wearing them on the weekends for errands, or long plane flights! They are just SO comfortable! FYI they are TTS and I wear an XS. 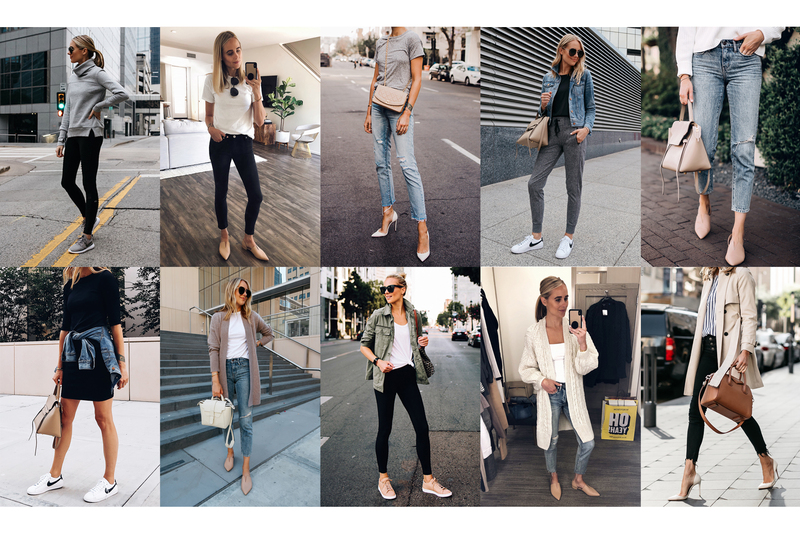 When I first started working with a personal trainer at the beginning of the year, I was just wearing whatever shoes I thought were cute at the moment. We were working on a lot of plyometric exercises and I kept finding it hard to keep balance. I was always very active and fit, so this was discouraging to me because simple moves seemed so hard! 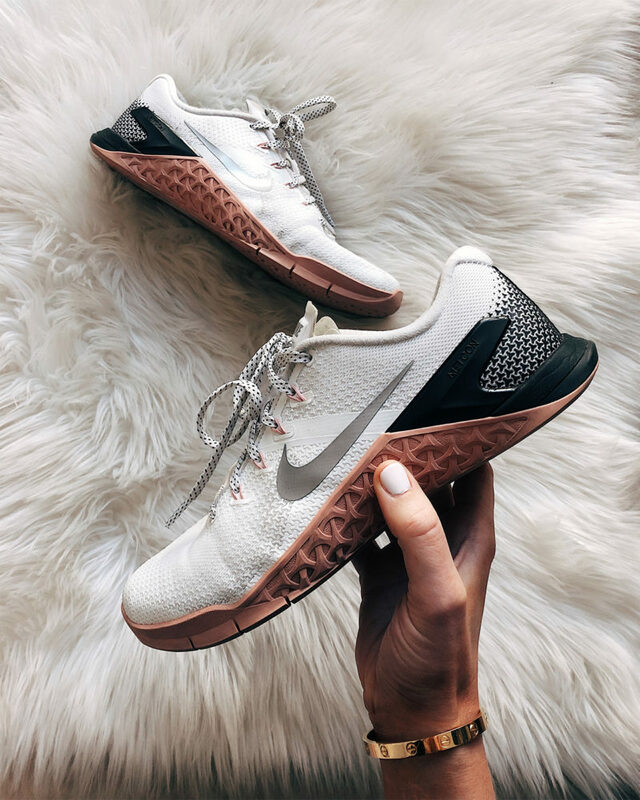 My trainer recommended the Nike Metcon 4 because they have the flattest sole. A lot of shoes have cushion making the sole elevated which can cause you to be off balance. I bought them that day, and the next day during my training session I was able to do every move perfectly & with ease! I'm on my second pair now, and will continue to wear them for training days! FYI I don't run in them, but they are great for everything else! Runs TTS. I got this luggage set right before my trip to Europe in the fall. I have a set of Rimowa and I'm just not a fan of it. I heard amazing things about CALPAK so I decided to give the set a shot, I mean 2 pieces for under $300, you can't beat that. I was blown away at how spacious both pieces were. The suitcases are light, which is great because I always max out the weight limit, but they are also so durable! Like I said, I used them for the first time traveling abroad and I was sure there would be some cracks or dents coming off the conveyor belt (like the first time I used my Rimowa set). To my surprise they were in perfect condition! I cannot say enough good things about CALPAK, so if you're in the market for a new set of luggage, definitely check them out! I also got this backpack which I LOVE! 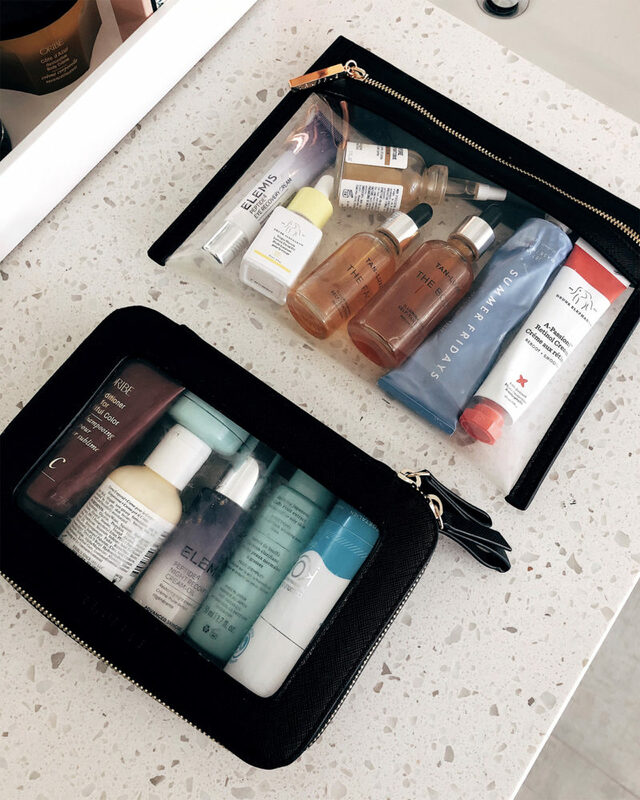 I have been using the same old toiletry and cosmetic cases for years. I wanted to up my game a little and get a set that not only matched, but was stylish and functional. I found these clear plastic cases by TRUFFLE and pretty much ordered the entire set! 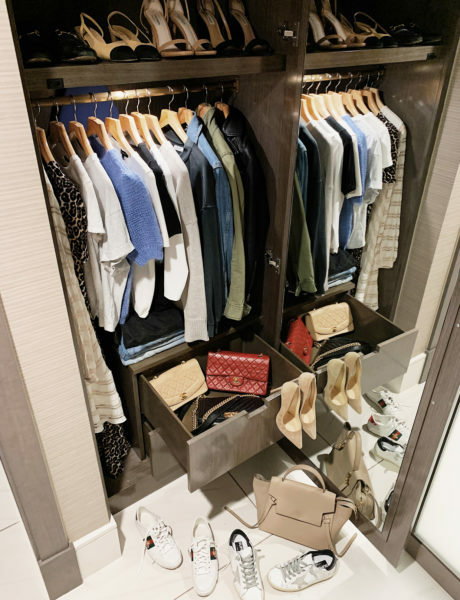 They are SUCH great pieces for traveling, keeping everything organized, and most are TSA friendly! I keep the mini in my handbag at all times, the small for toiletries, the large for electronics/cords, and these cases for larger toiletries! I get so many questions about these cases and love them so much! 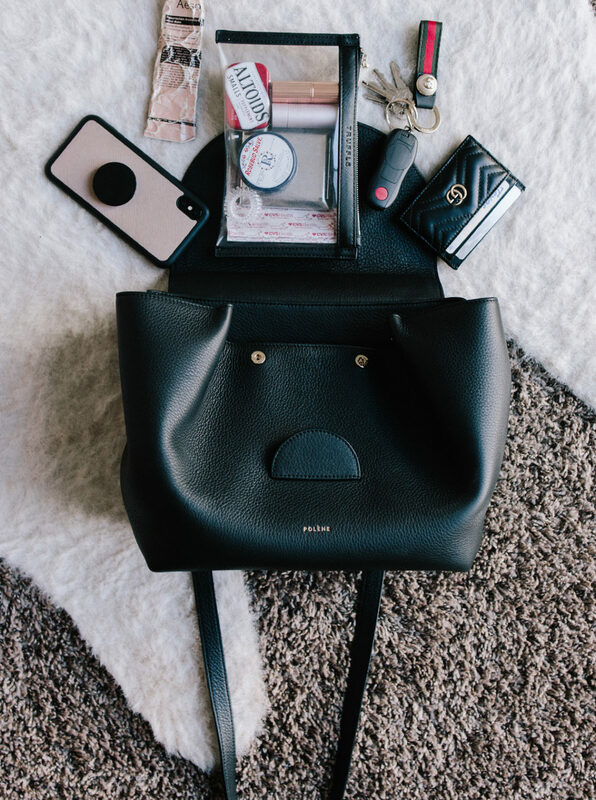 They are definitely essential for anyone who travels! I'm probably not the only one who can relate to a dead phone half way through the day - especially during travel. I've had a few portable charges in the past which worked the same as directly plugging in to a wall. 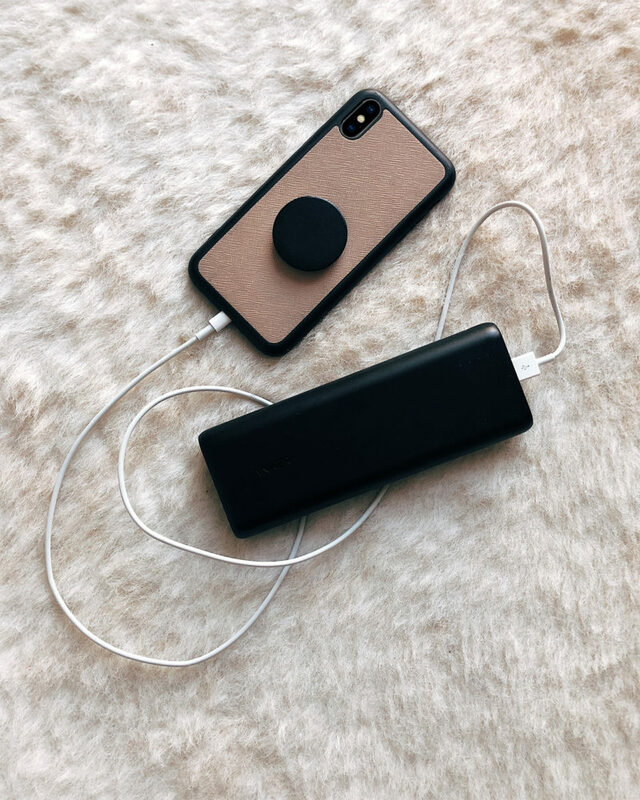 However, my friend Becky, told me about this portable charger by Anker and how it charges everything so much faster! It will charge an iPhone 7 times as fast, so if my phone is under 10%, within the hour I will be back to 100%! I not only use it while traveling, but also around the house so my phone doesn't have to be plugged into the wall if I'm not near an outlet. When I'm traveling, I never leave home without it! I freaking love my Alo sweatshirt I bought from one of your links about a year ago! It’s so comfy and stylish. I agree with you on the Anker charger. Couldn’t live without it!